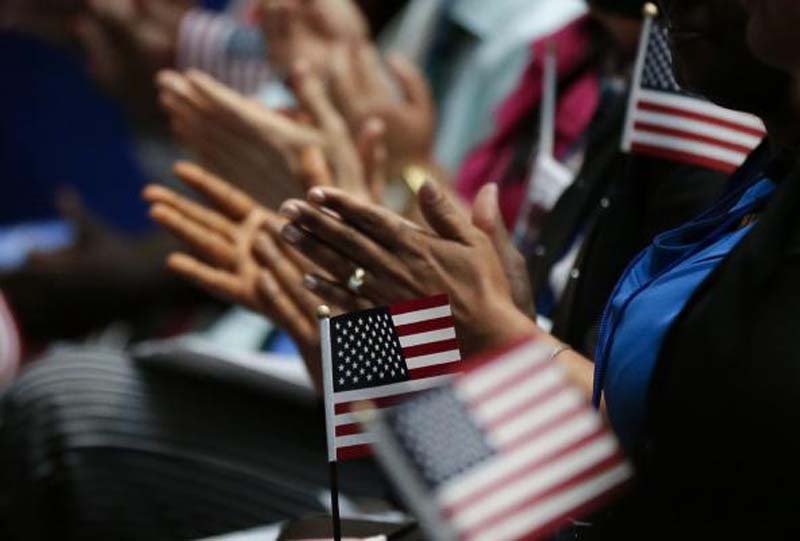 A federal judge in New York on Thursday allowed a lawsuit seeking to block a question about citizenship from appearing on the 2020 Census to proceed. United States District Judge Jesse M. Furman denied a motion filed by President Donald Trump's administration to dismiss the suit, saying the plaintiffs made a probable case the addition of the question was a deliberate attempt to discriminate against immigrants, The New York Times reported. [post_ads]The plaintiffs stated that including the question on the Census would "fatally undermine" the process, arguing both legal and undocumented immigrants would refuse to fill out the form, possibly skewing new state and congressional districts for the following year. In his ruling, Furman said the plaintiff's assertion that "President Trump's anti-immigrant rhetoric" would lead to a lower response rate was plausible, according to The Hill. He added the actions taken by Commerce Secretary Wilbur L. Ross, such as changing his explanation for why he planned to add the question, raised suspicion about his intent. When the addition was first announced in March, Ross said he looked to add the question at the request of the Justice Department to enforce the 1965 Voting Rights Act. He later said, however, he had discussed the question with administration officials as early as the beginning of his tenure with the department. "In a June 21, 2018 supplement to the Administrative Record, Secretary Ross admitted that he 'began considering' whether to add the citizenship question 'soon after' his appointment as Secretary in February 2017 - almost ten months before the 'request' from DOJ - and that, 'as part of that deliberative process,' he and his staff asked the Department of Justice if it 'would support, and if so would request, inclusion of a citizenship question.'" Furman also noted Trump's statements about immigrants including using an expletive to refer to certain countries, stating some immigrants "turn out to be horrendous" and stating these "aren't people, these are animals" while referring to some people attempting to enter the United States. He said while they weren't related specifically to the citizenship question, the statements raised suspicion Trump may have been personally involved in the decision. Furman added his ruling wouldn't ensure the question won't appear on the ballot. "As noted, the Enumeration Clause and the Census Act grant [Ross] broad authority over the census, and plaintiffs may not ultimately be able to prove that he exercised that authority in an unlawful manner," he said. New York Attorney General Barbara Underwood hailed the ruling as a victory for New Yorkers. "As we've argued, the Trump administration's plan to demand citizenship status as part of the Census is unlawful -- and it would potentially cause a huge undercount that would threaten billions in federal funds and New York's fair representation in Congress and the Electoral College," Underwood said.